July 6, 2018 July 6, 2018 by Audra K.
If you’ve been to one of Harry Styles’ shows recently, you’ll know all about the opening Rubik’s Cube animation – but it’s never made so much sense until now! Before Harry Styles takes to the stage as part of his first ever solo world tour, an animation of cartoon Harry attempting to solve a Rubik’s Cube plays on the big screens before it begins to glow and disappear, with the screens raising to reveal Harry and his band on stage irl. Whilst it’s a nice little animation, it never really made much sense to many fans, until one fan gave us the best theory about what it could all mean! Jumping online to offer an incredible explaination of the whole thing, @thanksloverachel wrote, ‘im just gonna go out on a limb here and say that the visuals on screen before tour got me thinking the left hand looks a lot like the hand of current harry with the ruby ring and rose ring and stuff’. Rachel then breaks down what she thinks is the true meaning behind the whole thing and explains that Harry trying to figure out the Rubik’s Cube could be Harry trying to work out how to fit his old era with the new stuff he’s doing. 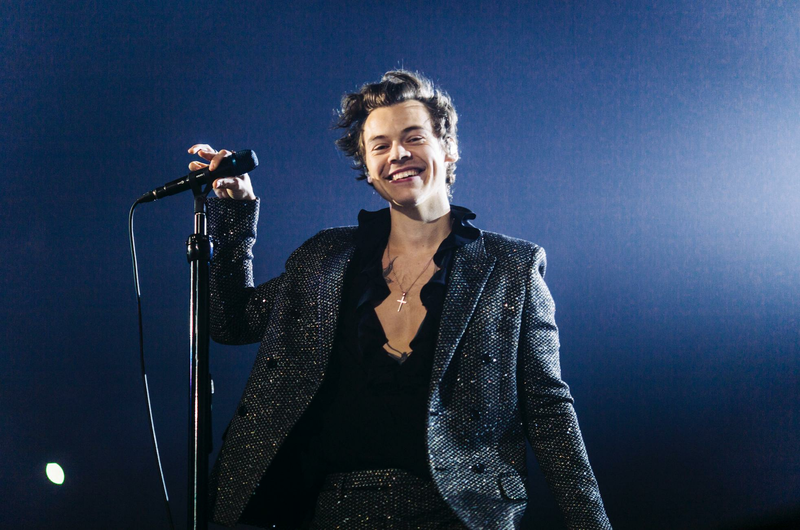 As the screen rises to reveal the real life Harry, Rachel claims that as the show includes older One Direction songs, Harry’s album tracks and newer material, it’s the perfect balance of Harry’s career thus far. So yeah, that’s basically our minds blown. Then we remembered that Harry’s also included the Rubik’s Cube theme on his tour merch too and now that the whole thing might have a deeper meaning, we kinda want it all!